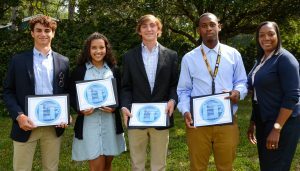 Coastal Electric Cooperative announced the opening of its summer work-study program to introduce rising high school seniors to career opportunities in the electric cooperative industry. Students will be paid $9.00 per hour and may work up to 40 hours per week. The work study program is for eight weeks (June through July). Upon completion of acceptable performance, students will be awarded a $500 scholarship to be used at a college or technical school program of their choice. Students must also make a presentation to management team about their experience and “lessons learned”.